The Tenacity Grit combines our URG coverstock with our Tenacity Low RG asymmetrical core that combines power and versatility all in one ball. The Tenacity Grit will be valued by league bowlers and tournament players for it’s strong mid-lane and powerful backend. The Tenacity Grit will produce strong mid-lane motion and backend with outstanding pin carry on medium oily lane conditions. 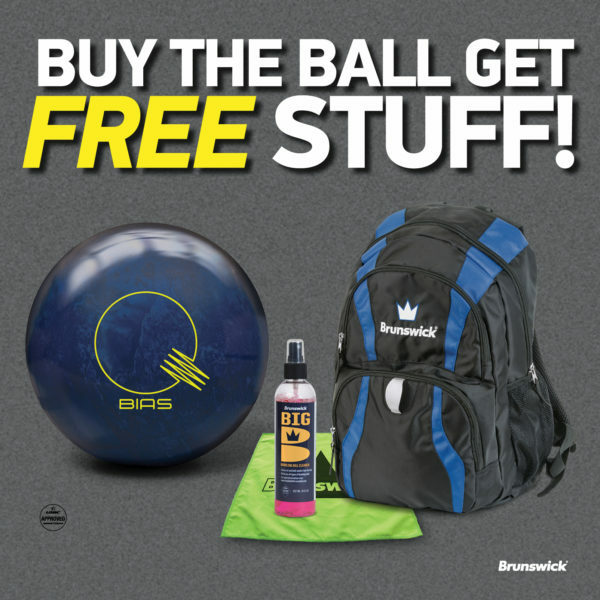 Clean your ball with Brunswick’s Big B Bowling Ball Cleaner after every use to reduce oil absorption. Versatile ball motion that is useful across various lane conditions, usually a continuous and strong arcing ball. Balls with higher numbers will have stronger overall reactions. The Tenacity Grit features Brunswick’s innovative outer core technology called DynamiCore. This industry-leading technology is a more durable outer material that yields less compression upon impact increasing hitting power and creating an undeniable difference in sound and pin carry.